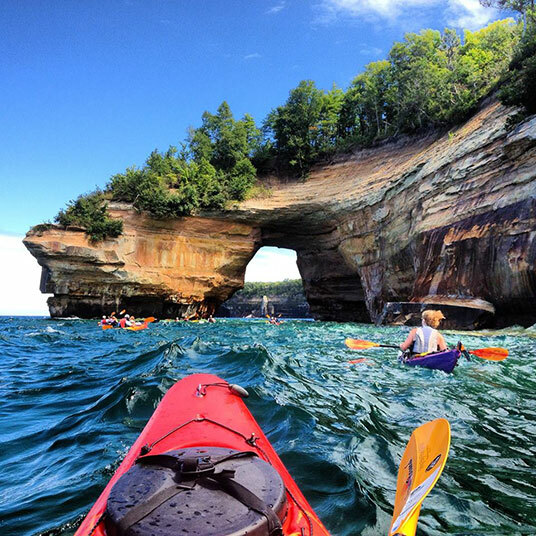 The photo was taken from a kayak at Grand Portal. It was taken with a cell phone. It almost didn’t happen. Kotewa says she almost didn’t bring a phone on the trip for fear of losing it. The photo was the winner of the Share the Experience 2013 Photo Contest at recreation.gov. It was one of more than 17-thousand entries. Share the post "Pictured Rocks photo chosen for federal parks passport"
Categories: Alger County and Tourism.